Latitude had a busy day today... CITYLINE and STEVEN AND CHRIS in the same morning. Here is a really sweet island countertop that we did for Stephen and Chris for their "Good, Better, Best" segment. They took a store bought island, painted it and then added one of my favourite new Marbles (now available). BEST was the island with the great marble piece on it. The Marble is Aqua Bianca and it is so much more refreshing than the typical white marbles you see. 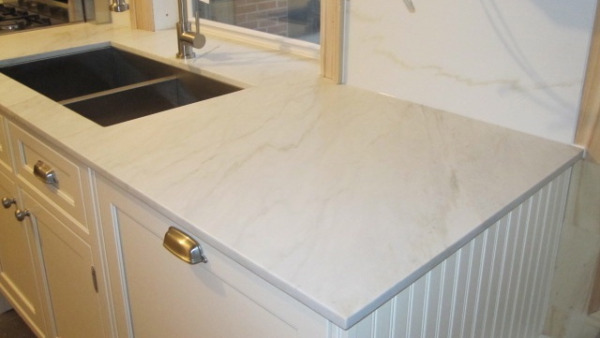 If you want to do something similar and add marble to island countertops or buffet counters, just be sure to think about care and maintenance. You want to make sure to keep it clean and seal it frequently!!! !